Suppose you are planning to create applications like Facebook timeline, Gmail chat, live score viewer or instant chat and you are wondering how to send notification from server to the browser for updates instead browser requesting data from server after every constant interval then this post will help you learn the technologies that are used to send data from server to browser as soon as the update is available. Push technology is a Internet based communication where server sends data to the client instead of client requesting data from the server. 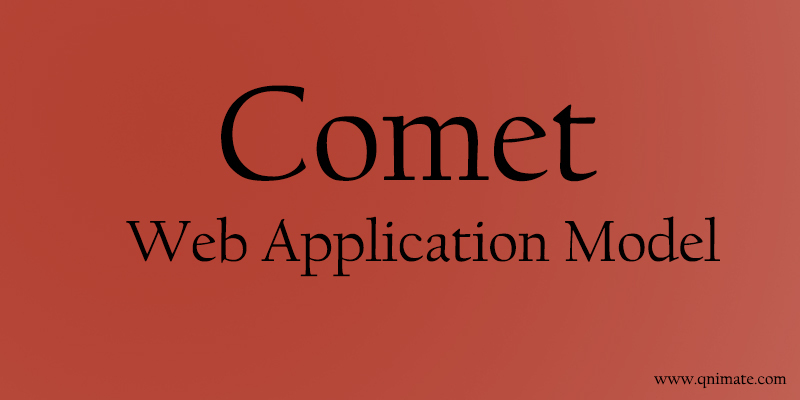 Achieving Push technology using HTTP protocol in browsers is called as Comet Application Model. There are many different ways of achieving push technology from web server. It can be achieved using default browser features (comet programming) or using external plugins. In this tutorial we will look at the ways of implementing push technology using comet application model. Before learning about implementing comet application model we need to learn about Chunked Transfer Encoding. Chunked transfer encoding is a data transfer mechanism in HTTP version 1.1 in which data is sent in a series of “chunks”. It uses the Transfer-Encoding HTTP header instead of the Content-Length header. Because the Content-Length header is not used, the server does not need to know the length of the content before it starts transmitting a response to the receiver. Server can begin transmitting dynamically-generated content before knowing the total size of that content. The size of each chunk is sent right before the chunk itself so that the browser can tell when it has finished receiving data for that chunk. The data transfer is terminated by a final chunk of length zero. Whenever we send data from server to client before script execution is completed(or file size is not confirmed), the web server sends the data as chunked. So when we use flush() the web server automatically adds the chunked transfer encoding headers and sends the data. Remember that browser starts executing the response content only after receiving 1kb of chunk data. $p .= " "; //we can send any character, here we are sending white space. To understand this method we need to understand “Content-Type: multipart/x-mixed-replace” header in HTTP protocol. Whenever we include this header in the HTTP response the browser interprets this as an changing document (prepares to receive new versions of this document) and keeps the connection alive. Whenever server sends an updated document, browser replaces the current document with the new document. In this way server can send newer version of the document whenever update is available. $seperator = "jfdkjgieorgjijergoidsufy9asif"; //some random string used to separate the different versions of the document. In this case also browser sends the data as chunked. Every chunk is interpreted as a new page by the browser. Server sent events is a HTML5 API. In this method browser keeps the connection open if server responds with response type as “text/event-stream” for a request made using server sent events api. To implement server sent events we need to create an event object and pass the url as the parameter. Whenever there is an update from server, browser fires the callback. 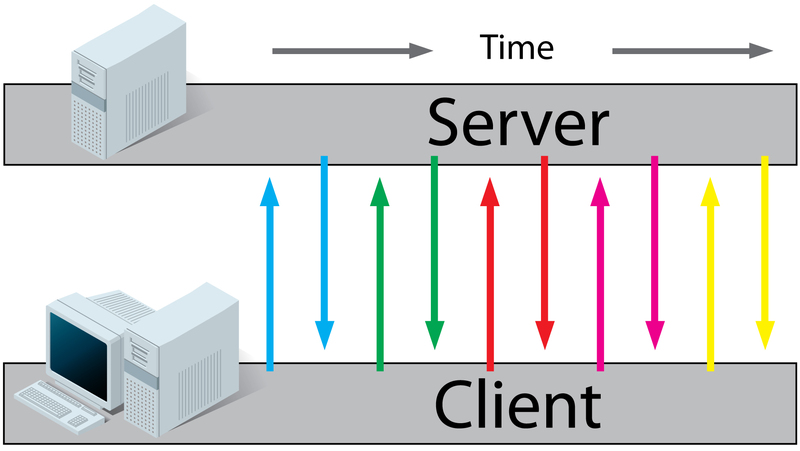 Server must send response type as “text/event-stream” which makes browser believe that server is responding to Server Sent Events API and keeps the connection open. This API is not available in Internet Explorer yet so be careful while using it. echo "data: ".$x. "\n\n"; //Always start output with "data: " and end with "\n\n" so that browser can parse and initialize the event.data variable. Here web server is sending data as chunked. Here we are not sending 1kb of chunked data before actual data. Thats because we are interpreting the response not the browser. 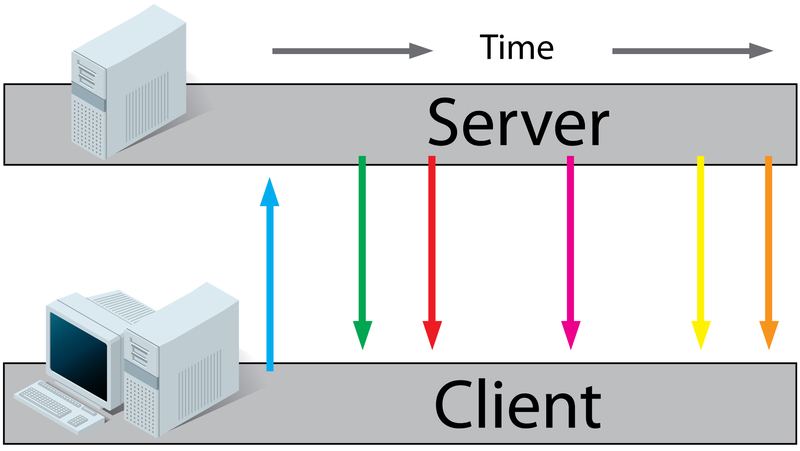 In this method whenever client makes a request to the server for update, the server holds on the connection and provides response only when update is available. So every request from client results in receiving update from server. The response from the server is a complete response. And client initiates another request as soon as response is received. There are two ways of implementing long polling in web browser. We will look at both of them. As the name suggests we initiate a HTTP connection to server using XMLHttpRequest object. And when browser receives complete response from server the callback is fired and status code changes to 200. And then we again initiate a new connection for new updates. In this way we always keep a connection open to the server. Remember that we need to check if user is still online after every constant interval before sending the response. If we won’t check this then there is no way the server script will stop executing and therefore web server will be out of resources soon. ignore_User_Abort(True); //disable automatic script exit if user disconnects. you can set it to false if you want the script to stop executing when user exits. But its better to exit the script manually if you want to save some data or make some other changes. while(!connection_aborted())//this function checks if user is online. flush();//if it sees that user is offline (fails to send response) then it terminates the script if ignore_User_About is not set to True. Here it will ignore the failed response as its set to True. sleep(1);//wait for 1 second before checking for update and finding out if user is online or not. AJAX Long Polling also sends information as chunked. Here we are not sending 1kb of chunked data before actual data. Thats because we are interpreting the response not the browser. Only browser executes after 1kb of chuck data. Use Script tag long polling instead of AJAX long polling only when you need updates from other subdomains. If you want to use AJAX long polling to make connections with subdomains then you need to create a proxy server emulating subdomains. flush();//if it sees that user is offline (fails to send response) then it only terminates the script if ignore_User_About is not set to True. Here it will ignore the failed response as its set to True. Here also we are sending data as chunked. Here we are not sending 1kb of chunked data before actual data. In this method when client makes request to a webpage, the server takes advantage of persistent HTTP connections, and leaves the connection open (i.e., the server never terminates the response), and it seems like browser is getting response from a slow server. Whenever update is available server sends response to the browser and browser executes the code. This method doesn’t work well because some browsers have page load timeout set, which results in page refresh if server is taking too long to respond. Here also we are sending information as chunked. WebSocket is a network protocol supported by all modern browsers. This protocol is specially designed for push technology so that client and server can send data to each other by just initiating connection once. WebSocket API is the interface provided by the browser for WebSocket Protocol. You need to have a WebSocket server for WebSocket API to work. You can build your own WebSocket Server using any programming language or you can install WebSocket plugins in supported HTTP Web Servers. Using WebSocket API you can easily initiate a WebSocket connection to a WebSocket Server. //you can use wss instead of ws for secure communication. WebSocketObject.send('Hello'); //sending message to server. When we use WebSocket protocol to implement push technology then we don’t call it as comet programming as comet programming is term tightly associated with HTTP protocol. One question.. in the AJAX Long Polling example I notice that you have not included the header(‘Cache-Control: no-cache’); command. My understanding is that without this tag that the cache will store responses, and not give the user new data until the cache expires. Is there a reason this is not needed in this example, or should I add this in to my own implementation of the script? Thanks for this tutorial. Very informative. I personally like the Long Polling examples.